Do we have any holosexuals in the Slashed Squad? Holographic everything has been super big in both fashion and beauty lately… especially with the mermaid and unicorn craze. To be honest, I ain’t mad at it. It sort of reminds me of 90s fashion. I definitely had a pair of holographic sneakers, a ton of holographic jewelry and even a purse or two. The finish became popular with the rise of CDs, and has somehow made its way back into the spotlight. When the e.l.f. Highlighting Holographic Duos ended up at my door, I was swept off my feet by the gorgeous packaging— which is indeed holographic. You can see the rainbow reflection shift in the light as you turn it in your hands. But once you unbox the highlighters, I was severely disappointed as I was met with standard iridescence. 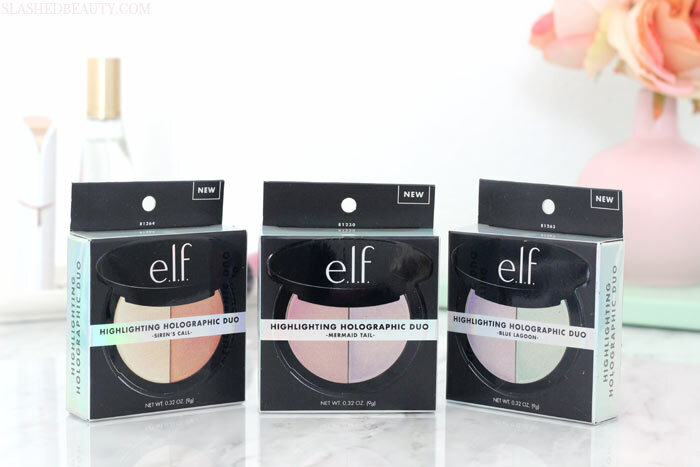 Don’t get me wrong— these highlighters are very pretty, smooth and blend nicely. But they’re not holographic. Upon a little online investigation, it looks like e.l.f. has actually already renamed the product to Prismatic Highlighting Duos. Which still doesn’t make all that much sense, but at least it’s not claiming to be holo anymore, right? I’m curious if they’ll also be redoing all their packaging, or if they’ll be mailing them out with the original Holographic name. If you’ve ordered one recently, let me know in the comments! 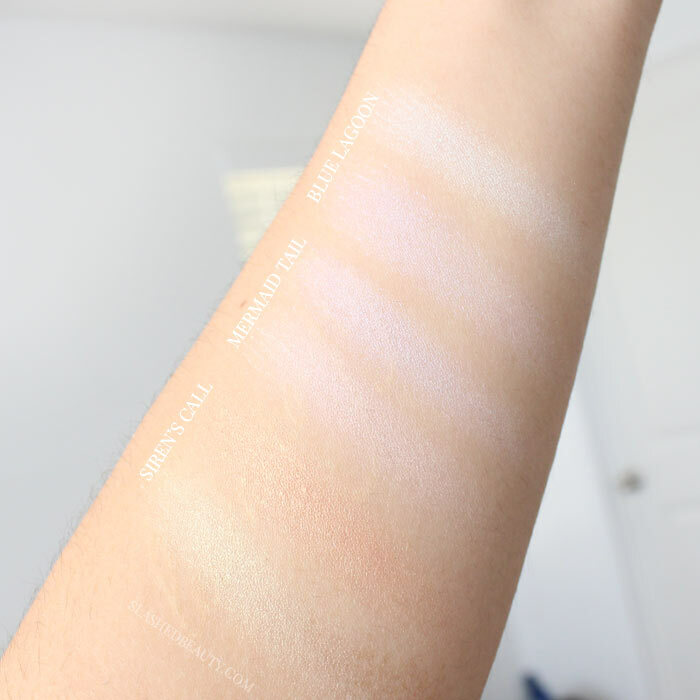 With that said, let’s review the highlighters for what they are, shall we? 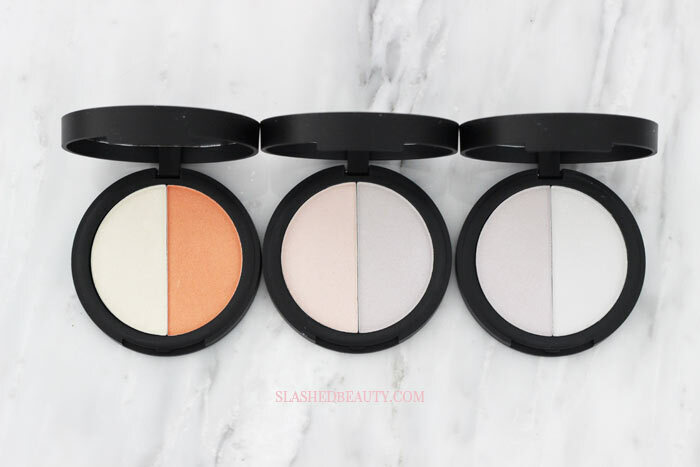 The Prismatic Highlighting Duos come in the same compact as their HD Highlighting Powders, but with the pan split down the middle to separate the two included shades. There are three shade options currently available. Siren’s Call is the one that I think would work best with tan-dark skin tones, having a golden peach shift shade and a goldish blue-ish shade. You can layer it to build up the intensity, or keep it subtle. Mermaid Tail was the duo I found most wearable on my skin tone, with a opalescent pink and silvery purple. The pink shade looks gorgeous when applied atop a warmer blush, while the purple looks great when I’m going without too much color on the cheeks. Blue Lagoon is probably the most bold duo, with a strong purple/blue iridescent shade, and a pearl shade that shifts green. They’re gorgeous, but I would say maybe a little harder to work into an every day look. Two layers of each shade applied for swatch, shown in direct sunlight. The highlighters are silky and blend easily. My favorite part, though, is that your finishing look is a smooth sheen… no glitter particles here! Because of that, I don’t find these highlighters to accentuate any skin texture issues, which is an extra plus. They also last very well throughout the day, still catching the light 6 hours after application. I am a little bummed that they priced these two dollars higher than their Shimmer Highlighting Powders, but you are getting a tiny bit more product (0.28 oz vs. 0.32 oz) which actually makes it slightly cheaper per ounce. Still, in the grand scheme of things they are definitely affordable. Unlike other colorful highlighters I’ve tried that come out chalky, these are silky and a pleasure to apply. 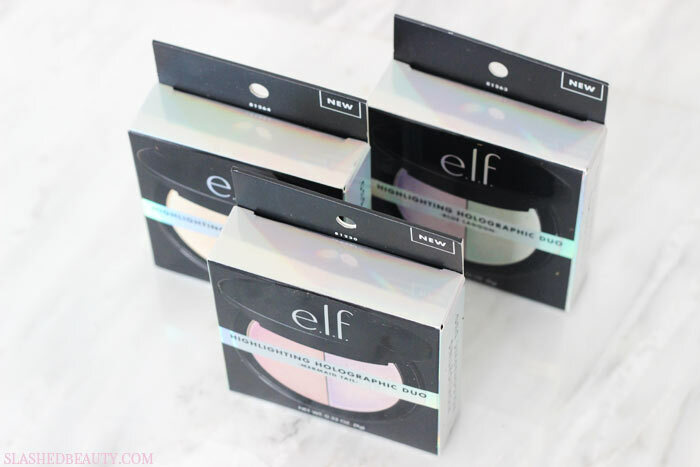 Find the Prismatic Highlighting Duos online for $8 or in e.l.f. stores. How would you wear these unique highlighters?